Android 5 is just around the corner, and it’s going to bring many exciting changes. 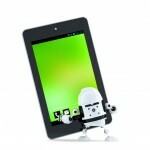 There is no official name yet, and some rumors have even said that it may just be called Android 4.5. This is anyone’s guess here, but there are a few things that we can probably count on. Many facts and rumors have surfaced throughout the internet, and here are some of the things you can look forward to. Back in late 2013, everyone had assumed that Android 5 would be released in October. Instead though, the only thing that was released was Android 4.4 KitKat. Now, it’s looking like the newest version of Android is going to be dropping in mid 2014. It will probably be at Google IO, which is a huge two day developer conference in San Francisco that happens every year. People expected to see it at last years Google IO as well, so that raises the likelihood even more. Google doesn’t generally announce big new items or operating systems during the conference, but it would fall around the 6-7 month mark from when the last update was released, so it actually makes the most sense. For a long time, there were reports saying that Google Babble would come out along with Android 5. It is basically an app that will combine a lot of different chat services like Talk, Hangout, Voice, Messenger, Chat for Google Drive and Google+. It is highly anticipated and should make life a little bit easier. As it turns out, “Google Babble” wasn’t even the correct name for the app, and it already came out on Android 2.3 and up. So much for that rumor, right? It is also said that the next version of Android will have a lot of fitness based stuff on it, kind of like Apple products. It seems that more and more devices are incorporating this type of stuff, so Android pretty much has to, just to stay in the game. Future Android tablets and smartphones will have sensors built in to aid in gathering fitness data. Another crazy rumor that is going around is that Android devices are going to start using the Google Chrome OS on their high end devices, and the new Android on their lower end models. Who knows if that is true, but it wouldn’t seem to make a whole lot of sense. It would require a lot of extra work, with app integration and everything. Whatever ends up being true or false, Android 5 is for sure going to be a huge, exciting step up for all of us. I can’t wait to check it out hands on.